Muted demand from local jewellers and weakness in international gold market led to the dip in domestic gold prices, according to traders. Gold prices today dropped below Rs 31,900 per 10 grams mark in Delhi. Gold prices today slipped by Rs 75 to Rs 31,875 per 10 grams at the bullion market today, news agency Press Trust of India reported. Muted demand from local jewellers and weakness in international gold market led to the dip in domestic gold prices, according to traders. Weakness in the rupee against the US dollar helped provide some support to domestic gold prices. At the day's low, the rupee dropped to 68.15 against the US dollar, a level last seen in January 2017. 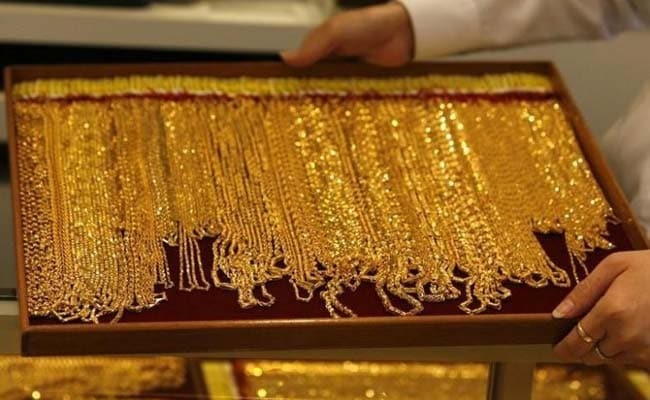 Domestic gold prices: Gold of 99.9 per cent and 99.5 per cent purity in Delhi declined by Rs 75 each to Rs 31,875 and Rs 31,725 per 10 grams respectively, Press Trust of India reported. Gold prices had come down by Rs 40 on Saturday. Rupee vs dollar: The rupee weakened to as much as 68.15 against the greenback. Continued strength in the US dollar against a basket of currencies and rising crude oil prices continue to put pressure on the rupee, according to analysts. According to forex advisory firm IFA Global, the dollar-rupee pair is likely to trade in the range of 67.95-68.30 with upside bias. Weakness in the rupee against the US currency makes import of gold more expensive. Gold is the second-biggest import item for India after oil. India is the world's second largest consumer of gold.